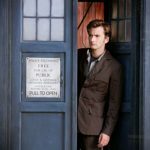 Speculative Faith | Doctor Who: No Longer a Good Man? “Doctor Who” seems to be regenerating in a radically new direction. Why don’t I want to go? It’s never easy to let go of a popular-culture story that’s heading in a different direction. Just ask fans of “Doctor Who,” whose Twelfth Doctor (Peter Capaldi) just regenerated on Christmas. Now the role of Thirteenth Doctor passes to Jodie Whittaker.1 She’s the first woman actor to portray the Time Lord/Lady in the British sci-fi drama’s 54-year history. Naturally that’s controversial among some fans, who—despite being used to many actors playing the Doctor—feel the Doctor’s character is being changed far too much this time. Or ask fans of Star Wars: The Last Jedi, disappointed by the new film’s apparent disregard for not only the story’s history but of the very virtues of heroism and derring-do. But for Doctor Who, I feel a special sense of satisfaction accented with remorse, not as if the series is changing, but as if the series has ended and is being replaced by another series. 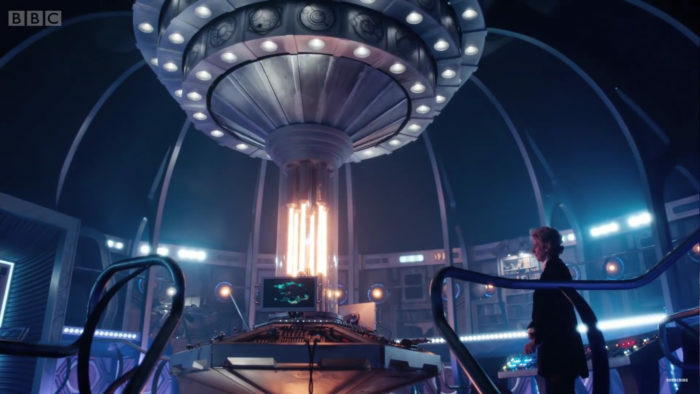 Twelve seemed to swerve from now-former “Who” showrunner Steven Moffat’s embrace of fairy-tale tropes, dark and light alike (though mostly light). 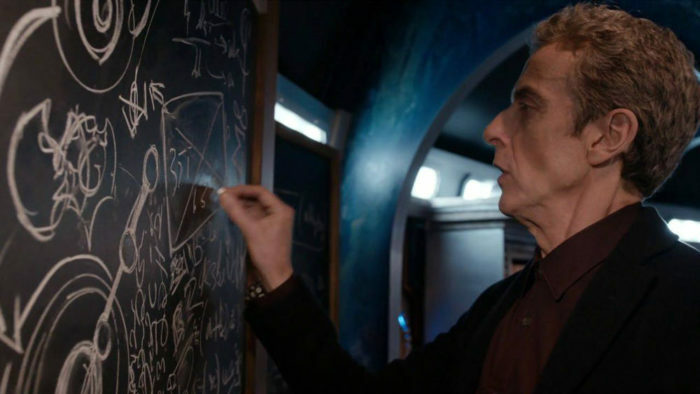 Instead of mostly laughing aside angst a la Eleven, Twelve overtly pondered deep questions about the universe and his nature, complete with chalk and blackboard. He asked “Am I a good man?” and at the series’ end he found an answer. (Spoiler: no, he’s an idiot, but he’s learning and trying to do good.) He defended pre-born life, even on the moon-as-a-gryphon’s-egg. 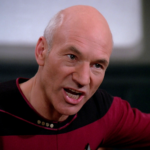 He passionately opposed meaningless conflict between humans and Zygons, giving perhaps the Doctor’s most epic defense of peace and reconciliation from which Christian fans could even learn a lot. But now he’s regenerated, to climax the understated, slow-moving, and genuinely touching “Twice Upon a Time” Christmas special. Moffat’s final bow underscored the show’s retro past, courtesy of the returning First Doctor (David Bradley), and familiar themes of death subverted by “everybody lives!” eucastrophe. World War 1. I should have seen it coming. Of course, the show will go on, now passing to the command of sometime “Doctor Who” episode writer and “Broadchurch” overseer Chris Chibnall. I know many fans who really look forward to the story’s new direction, especially starring Whittaker as Doctor No. 13. Alas, I’m not among them. How come? I keep asking myself that question and a few others. Am I a good fan? Or am I an idiot who can’t recognize when my magical traveling flatscreen box just wants to take me someplace new and exciting? Well, here’s the transcript of my conversation with myself. 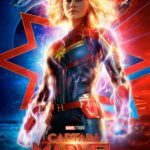 Am I a misogynist who doesn’t like fictional female heroes? I loved Wonder Woman (both DC Animated Universe and film versions) before it was cool. I followed “The Legend of Korra” right up until it was sexual revolution-juked. After Star Wars: The Force Awakens, my wife and I tracked down the last Rey action figure, hidden behind stacks of Finns and Kylo Rens and Poe Damerons in the Disney Store. And as a Christian, I believe God created male and female as the ultimate human expression of His intra-Self diversity: We’re different and that’s marvelous. And within many of our relationships, especially marriage, we join our gifts to glorify Him—glorify Him better than we would if He had made us all the same, or if gifts were uniformly spread between sexes. Am I grumpy fan who doesn’t like change? Sometimes I feel this impulse about popular stories. But I fight it off. Examples: I (mostly) defend The Hobbit film series. I love and defend Batman v Superman: Dawn of Justice. I didn’t hate The Last Jedi (but understand those who do). And with “Doctor Who,” I’ve regretted each Doctor’s passing but eagerly anticipated the next actor’s arrival. If you asked me, “Who’s the best new-series Doctor?” I would say, “Eccleston, Tennant, Smith, Capaldi,” and refuse to choose my favorite child, and find you ruthless for even asking me. Philosophy notes on blackboards are cool. Am I simply tired of ‘Doctor Who’? At times I’ve felt a little franchise fatigue with “Doctor Who.” When Capaldi arrived, I knew I would already appreciate him. But his debut episode, “Deep Breath,” felt half-baked, choppily edited, and laced with increasing sexual revolution agenda moments—which feel enforced by a New Hays Code Committee, rather than naturally arising from the story itself. That aside, “Into the Dalek” and further stories powered series 8 forward. Any potential franchise fatigue faded for me. I even held tight during Capaldi’s last full season, which featured new companion Bill Potts as the First Lesbian Companion™. We’ll pick up tomorrow, considering those potential sexual-revolution agenda moments, as well as some tougher questions against myself and my response to the first female Doctor. I lost track of Dr Who around the time Matt Smith came on — didn’t have much access to TV, let alone BBC, but I caught up on episodes when they came available on Netflix, but Netflix no longer carries it. I didn’t see enough of Capaldi to start liking him. Something I read on the internet somewhere called this Doctor version more like a rude jerk who just bossed and bullied the universe into shape than the lovable Ten and Eleven that I liked (tho Eleven could’ve done with some ADHD meds to take the edge off, also much less Amy Pond). Anyway, I sympathize with feeling like a beloved franchise has suddenly gone warp-speed ahead in an iffy direction. I’m sure I would have had this feeling sooner if I had been old enough to appreciate what a disappointment the Star Wars prequels were.